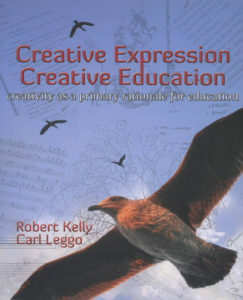 A book by Robert Kelly and Carl Leggo, featuring a sub-section about Gu Xiong published by Calgary: Detselig Enterprise Ltd (2008). The second section of this book, titled Ruminations on Creative, includes a sub-section from page 67-75 featuring Gu Xiong called In My Own Words. The sub-section includes a short biography of Gu Xiong, an essay by him, and a selective collection of his art works and poems. The following paragraphs is taken from Robert Kelly’s website. You may purchase this book from his website by visiting this page.